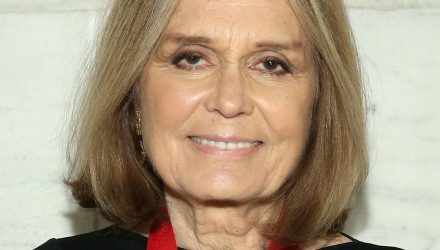 Social activist Gloria Steinem '56 is among five extraordinary alumnae being honored with Smith Medals at Rally Day in February. Also being recognized are economist Laura D'Andrea Tyson '69, pulmonologist Vickie Shannon '79, broadcast news executive Ellen Weiss '81 and winemaker Helen Sebring Keplinger '94. 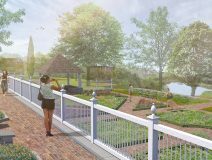 The President's House garden is getting an extensive makeover and a new name. The renovation, currently under way, honors the late Beatrice (Happy) Oenslager Chace '28, whose daughter and son-in-law, Eliot Chace Nolen '54 and Roly Nolen, provided financial support for the project. Kimberly Drew '12 discusses her role as an influential voice promoting black contemporary art and artists; Susan Sorrells '68 uses ecotourism to boost the economy of the California desert town she owns; alumnae weigh in on their favorite little life hacks-all this and more in the Fall 2016 SAQ. 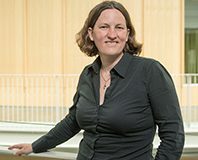 Associate Professor of Engineering Denise McKahn has her sights set on creating hydrogen fuel cells that perform more efficiently and are safer for the environment than lithium-ion batteries. McKahn believes that someday our overall economy will be hydrogen based. Smith College will celebrate the new Jandon Center for Community Engagement with a Presidential Colloquium by former U.S. Education Secretary Arne Duncan at 5 p.m. Wednesday, Sept. 21, in Weinstein Auditorium. In his talk, Duncan will offer an overview of the lessons he learned throughout his career in education. Has a Smith professor guided you on your career path, provided a crucial recommendation or remained an important presence in your life? Are you still in touch? For an upcoming Quarterly story, send us a note about a faculty mentor who has influenced your life. Please keep your response to about 75 words. Write to SAQ@smith.edu by Sept. 30. 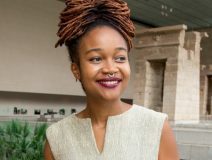 Fellowships, publications and elections to academic honor societies are among the recent accomplishments of Smith students, faculty, staff and alumnae. Read about them in the latest People News. GAZETTE ONLINE: Cornelia Oberlander ’44: Award "is a recognition of landscape architects"